FREDERICTON - A consultant hired by NB Power is warning of significant consumer "backlash" if the utility is made to establish seasonal rates for electricity. The consultant's report even suggests customers might have to read their own power meters at midnight twice a year — on April Fool's and Halloween — to make the system work. "Virtually all bills will have errors ... billing disputes can be expected to increase, possibly dramatically, and there will be no means of resolving disputes in a satisfactory way," reads a report by Elenchus Research Associates that was commissioned by NB Power and filed with the Energy and Utilities Board on Thursday. 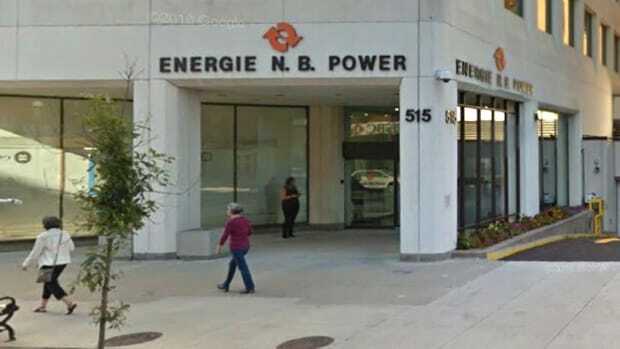 NB Power is in the middle of a year-long "rate design" review ordered by the EUB that is focused in part on whether the utility should charge lower prices for electricity in the summer and higher prices in the winter to better reflect the actual cost of serving customers. Elenchus was asked to study how that might work but the company is arguing against any switch until NB Power upgrades its entire network of power meters. Elenchus said seasonal rates require an accurate reading of every customer's power meter at midnight on March 31 and again on Oct. 31, the dates when power rates would switch between winter and summer prices. But NB Power does not have the sophisticated infrastructure in place to read meters remotely, or the manpower to visit every customer location on the same day, so Elenchus said the utility would have to guesstimate bills or rely on the technical savvy and honesty of customers themselves. "Customers could be asked to read their own meters late in the day on March 31 (and October 31)," suggested the report. "Aside from the obvious inconvenience and impracticality of that approach, NB Power would have no means of verifying the customers' meter reads." Another looming controversy with seasonal rates is that it would raise costs for residential customers, especially to those who heat with electricity. Elenchus estimated seasonal rates would add nearly $6 million to the cost of residential bills overall, with the largest increases flowing to those with baseboard heat. Electric heat customers consume the majority of their power during the five months that would have the highest prices and Elenchus said that is another reason to wait for better power meters before proceeding. NB Power has an ambitious plan to upgrade meters and related infrastructure as part of its transformation to a "smart grid," but it is a multi-year plan. Once in place the utility would be able to read meters remotely hour to hour, allowing power rates to be adjusted for times of the day and days of the week as well as seasonally. Consumers will also have in-home pricing and consumption displays to help them manage their bills. Elenchus said waiting for those meters will give electric heat customers a chance to avoid higher seasonal costs by letting them shift power consumption to lower-priced parts of the day. "The introduction of seasonal rates would be more acceptable once AMI (advanced metering infrastructure) has been deployed," concludes the report. A final hearing on NB Power's rate design, where seasonal rates and other changes will be considered, is scheduled for next April.